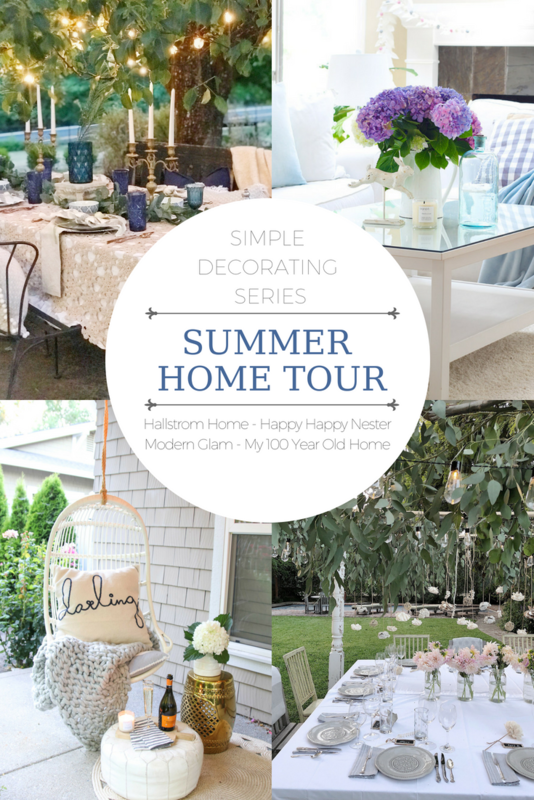 Decorating our home for the summer has been so much fun! Because we live in Southern California we are only halfway through the summer weather and September is always our hottest month! So even though some of you are thinking about back to school, we are still in the midst of summer at my 100-year-old home. 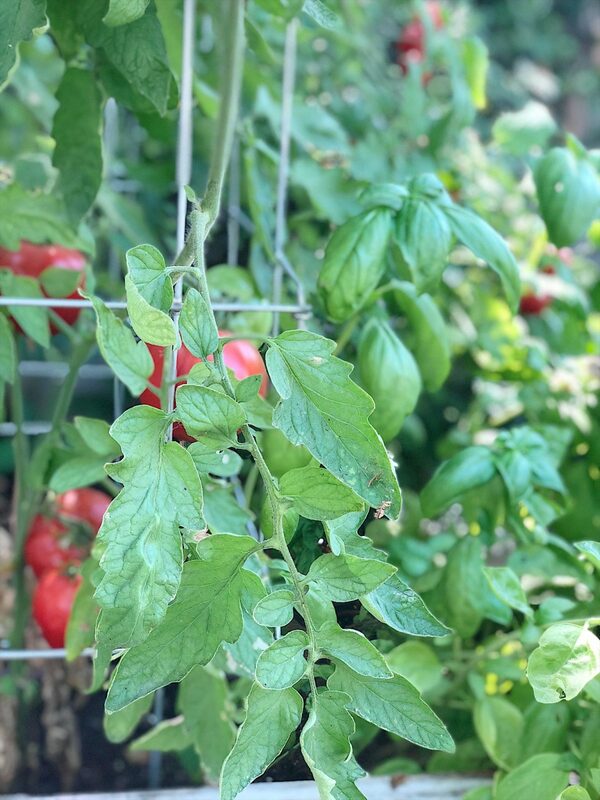 This summer I have focused on dining outdoors, adding lots of color, trying new summer recipes and growing summer vegetables in my garden. Today I am going to share some tips about how you can corporate these ideas into your summer as well. I never imagined we would have so much fun eating outdoors this summer and I don’t think we will ever stop! We entertain a lot and I love to think as much outside of the box as I can. 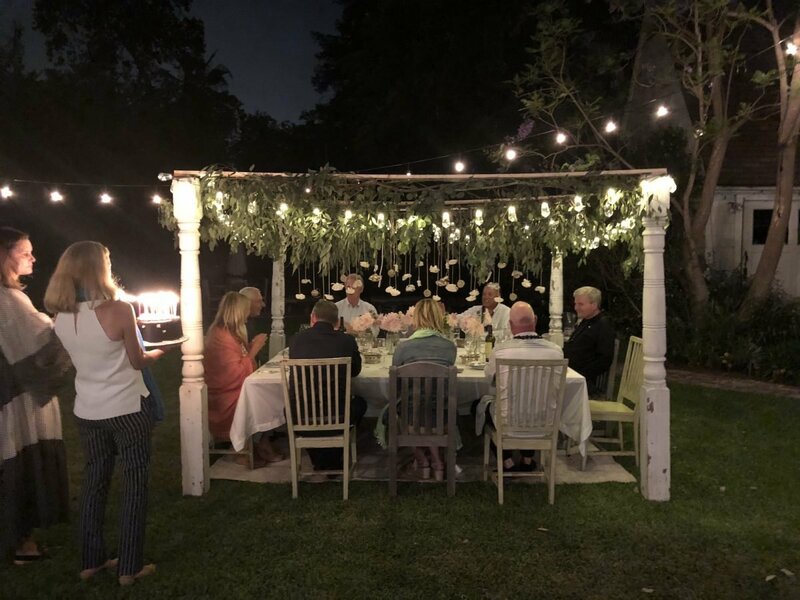 For three special dinner parties, I decided to create some very special “outdoor dining rooms”. Believe it or not, I still have more planned in the next few months! I don’t really have a favorite as each one was really special. All three were in an unusual place, one at the beach and two in the middle of our backyard. The key is to set up the table somewhere new and different. Try your backyard, a side yard, in your living room, on a porch or even your front yard! Just make it different. Because different is what makes it fun. What about the table? Use whatever you can. If you have to, move one of your dining tables outside. 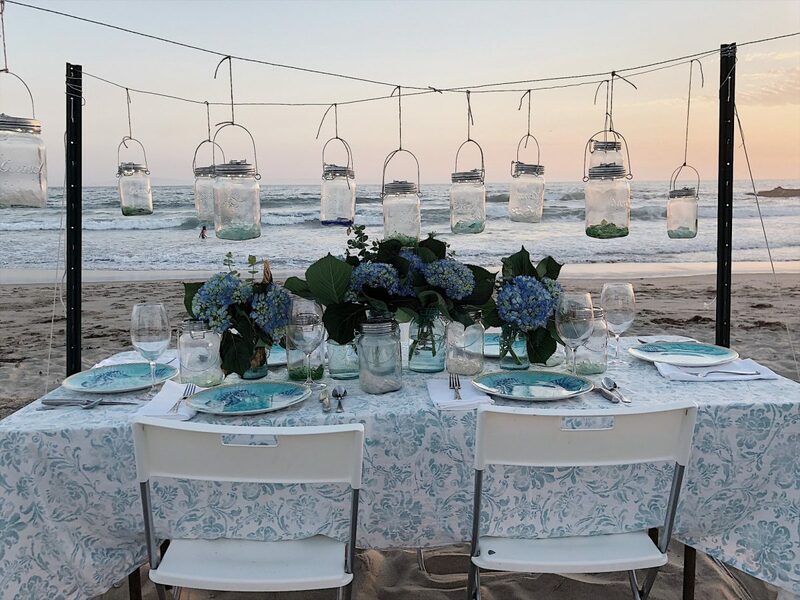 For our dinner on the beach, I used a plastic table from Target and plastic chairs from IKEA. These items didn’t matter. It was the setting that made this night so special. Once you have your evening planned out, think about the lighting. Lighting can create a special environment to be creative. 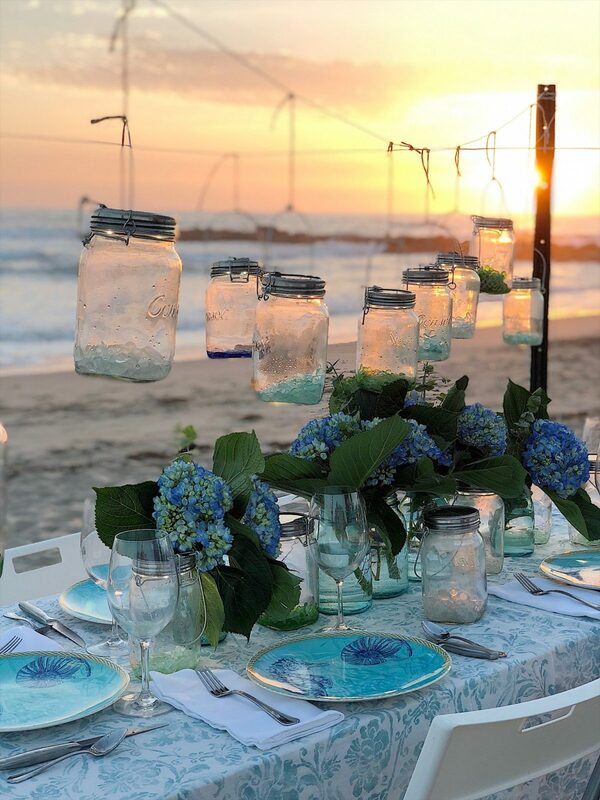 For the dinner on the beach, I used solar-powered lanterns by Sonnenglas. You can find out more about those here. I did a collaboration with HomeGoods and set this table in the middle of our backyard. I set two tables side by side to create the large square table and used chairs from our family room and patio table. 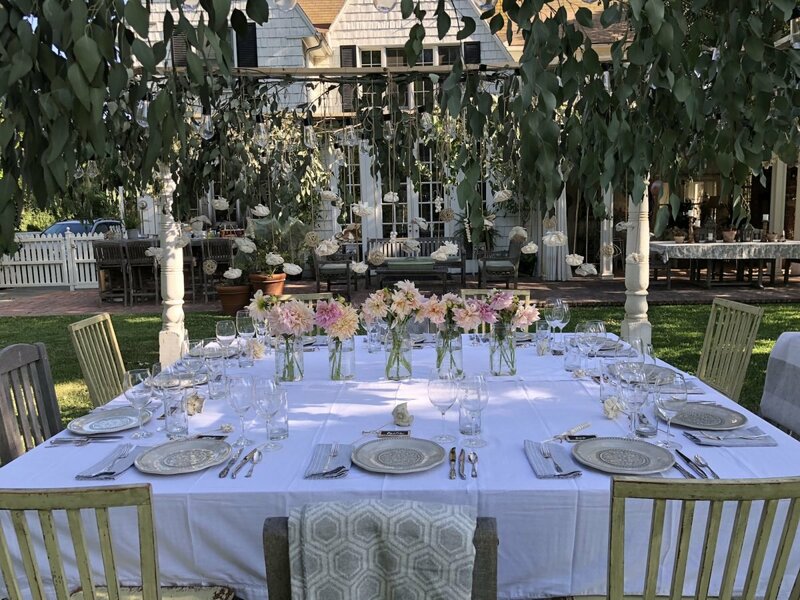 This outdoor dining room was created with old wooden pillars, a wood frame on top, fresh eucalyptus, lights, faux flowers and fresh dahlia centerpieces. The evening was magical as time progressed and the sun went down. 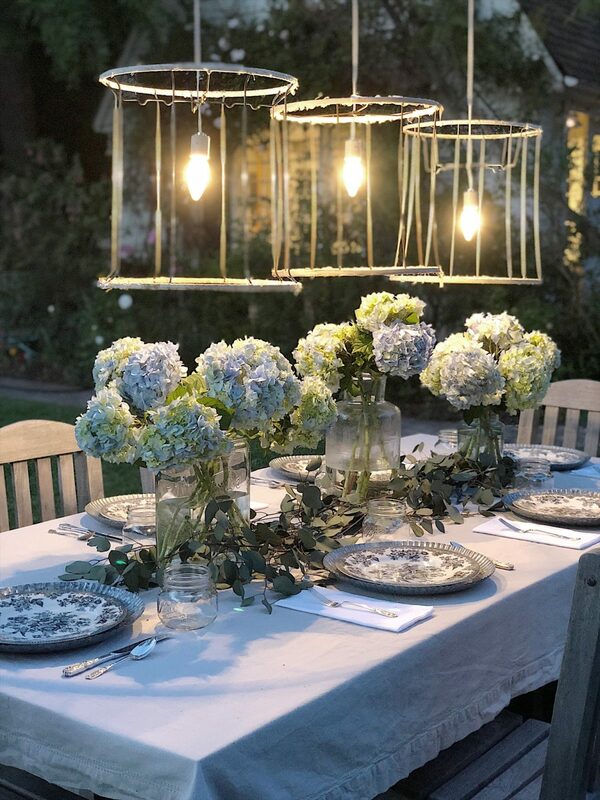 We hosted another dinner party and I made chandeliers out of old vintage lamp shades. You can find out how to make these here. These are my absolute favorite! This table was also set in our backyard near the pool. As I was styling our home for the summer I made a bold decision to add color. Our home has a very neutral palette so adding color was very easy to do. On our back porch, I decided to add a lot of green to bring the backyard into the porch. First I moved one of my new flea market finds, a sage green trunk, to use as a coffee table. Then I added green accents from my previous flea market trips. I ordered a few new pillow covers and added some green accent pieces to the rope shelves. The last thing I added was a green and white quilt, just in case the summer evenings were cool. I decided to go with blush as my accent color in our family room. I changed out the art by hanging one of my brighter paintings. Then I changed out the pillows and added a chenille quilt to the back of the couch. Fresh peach hydrangeas from www.flowersbygallonei really finished off the room. How fabulous are these! 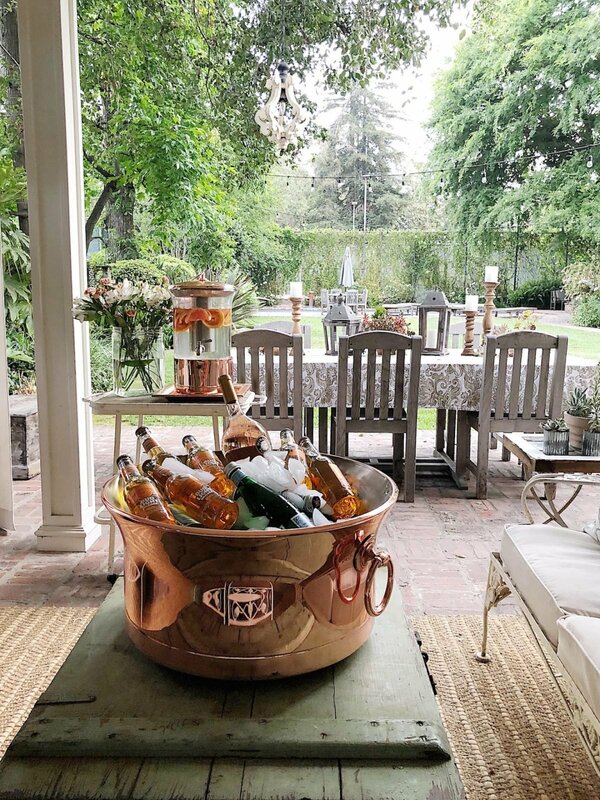 I also did a collaboration with Balsam Hill and was able to add these fabulous copper beverage containers to our back porch. 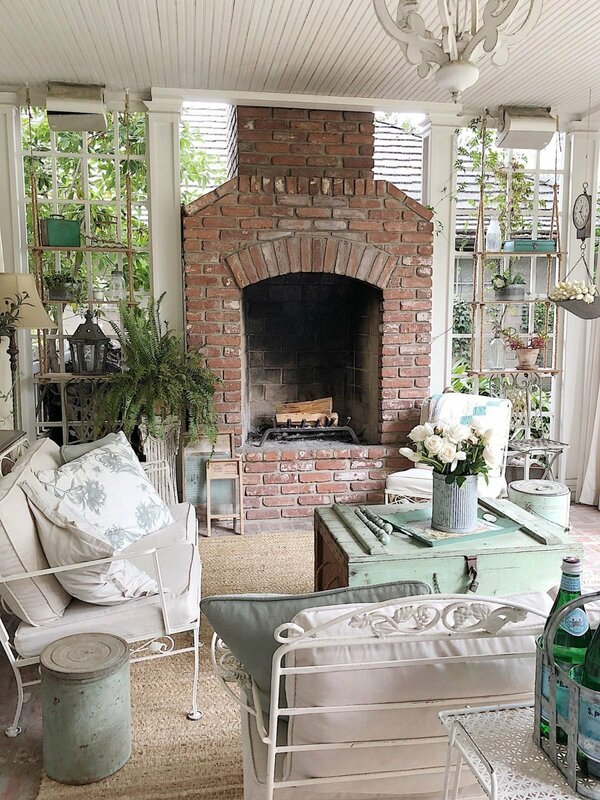 I love how the copper ties the porch into our family room yet compliments the green decor at the same time. A big part of entertaining is food so this summer I have cooked a lot! 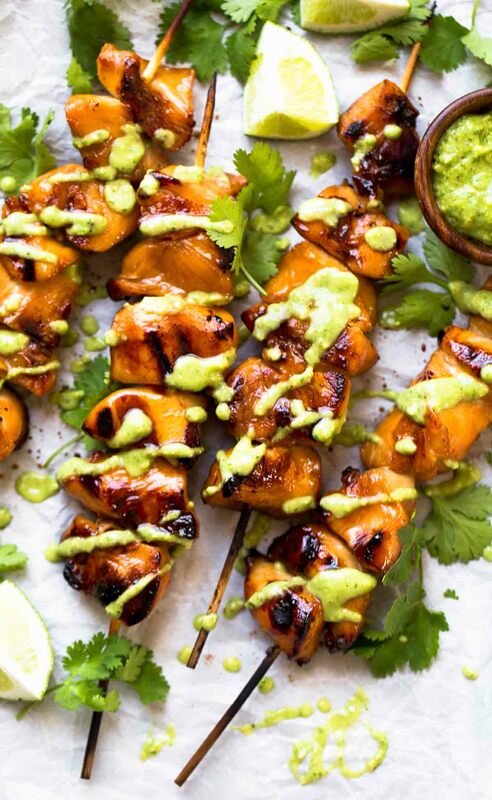 I did a blog post on my three favorite summer recipes plus featured some wonderful new recipes. Here is a photo of one the of the recipes below. Yum! We even made pizza for Father’s Day! 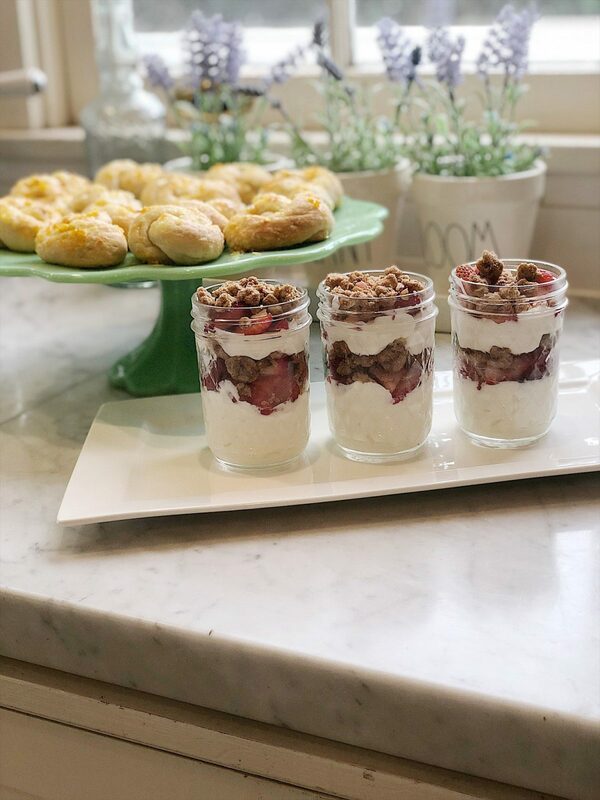 And I made one of the best brunch menus ever for Mother’s Day. 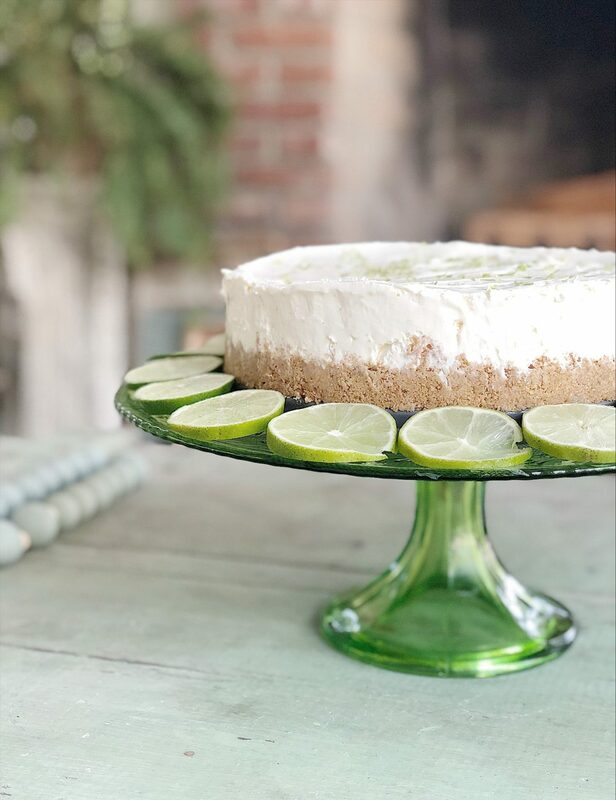 The frozen Limeaid pie was incredible. 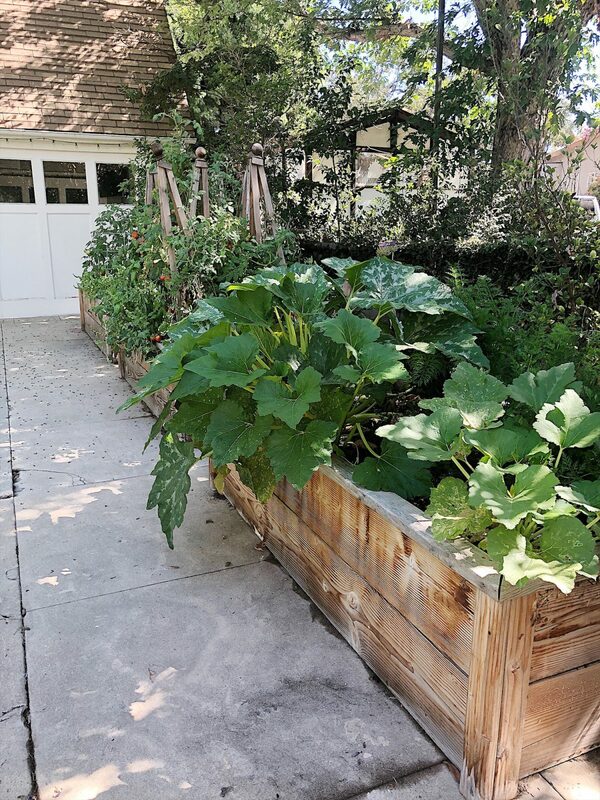 The final decor area in our house that changed this summer was my raised vegetable garden! Look at these beds! I have hundreds of tomatoes and the largest zucchini and cucumbers I have ever seen! I love that my vegetable garden continues to produce wonderful produce all summer long. If you haven’t started growing a garden, it’s not too late. There are many wonderful fall vegetables you can plant now! 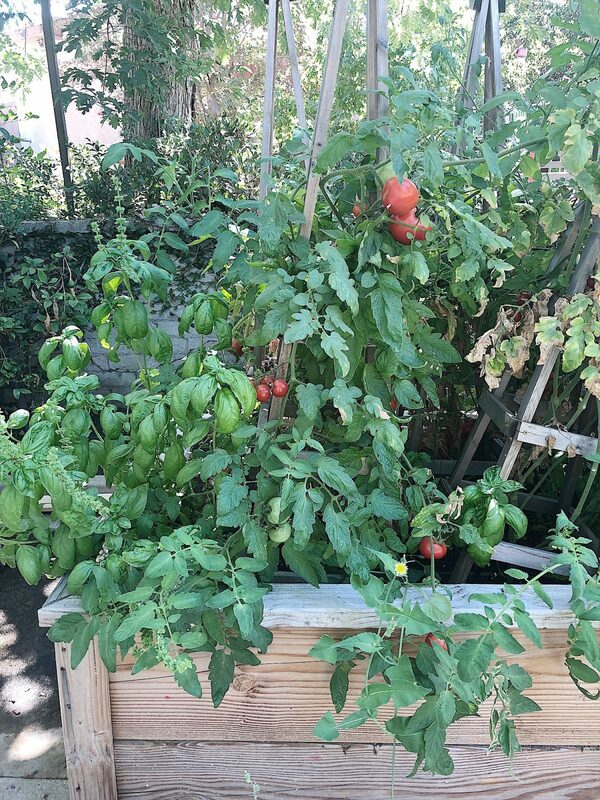 And you can always purchase tomato plants that are already producing fruit and grow lettuce until the first frost. Trust me, it is so much fun! 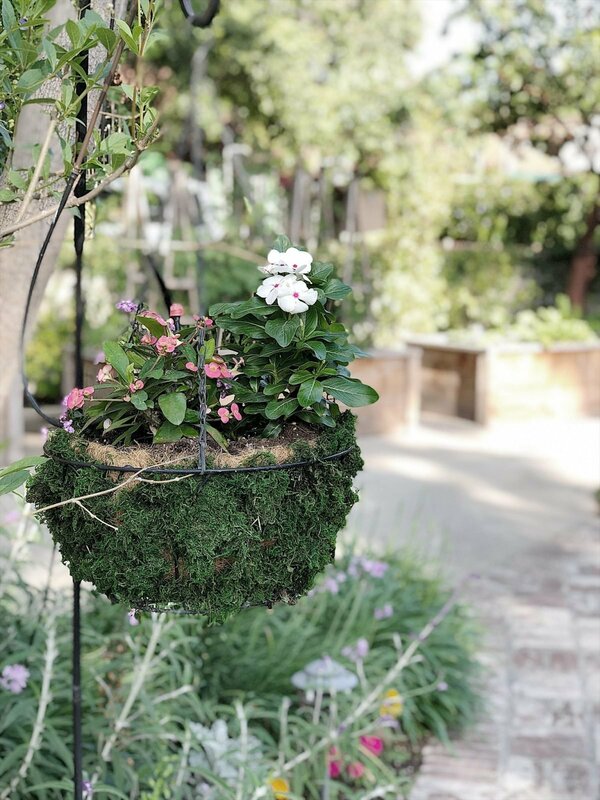 Finally, I repotted all of our hanging pots in the backyard. I am thrilled they still look this good two months later! I hope you have enjoyed my Summer tour and I think it’s not too late to incorporate some of these ideas. Don’t forget to head over to my three friends who are also participating in this fabulous Summer Blog Tour! You inspire me each and every day. Love each of your outdoor dining spaces. Leslie your home is full of so much beauty. What a beautiful Summer Tour! I feel like I was invited into your home and stayed for a bit while you walked me around, your home is so gorgeous and invitingl! Thanks so much for joining our impromptu tour! 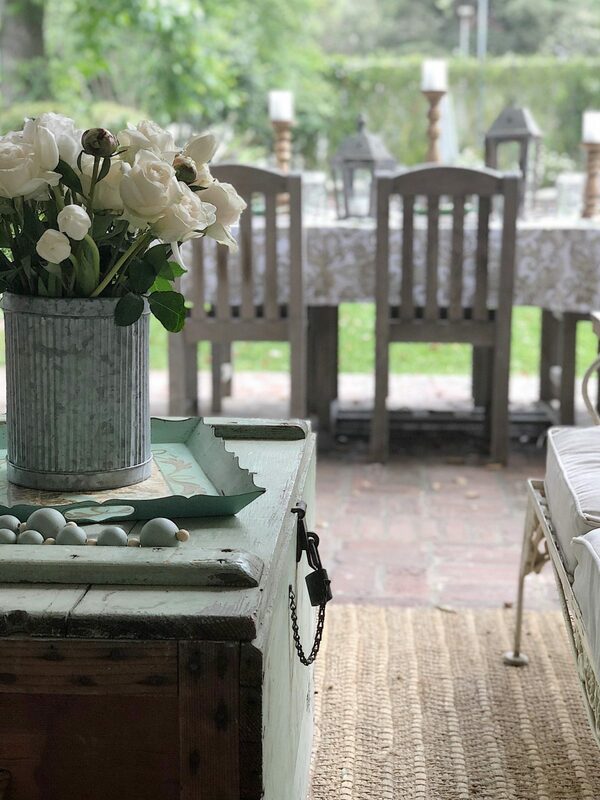 Leslie, your tablescapes are beyond dreamy! And how yummy does that chicken look? Yay for summer! Saved every idea!!!! Everything you do is lovely. 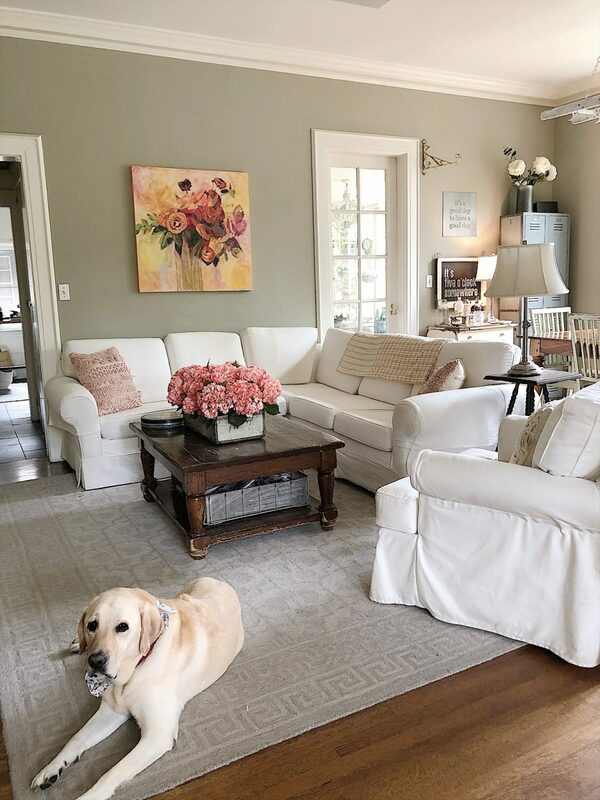 I am so in love with your home and your decorating style, Leslie! We love dining al fresco at our lakehouse and I really have to make an effort to try different dining spaces. I love the lampshade lights, your hanging jars and pretty tablecloths. Your back porch is so cool—we are in the middle of turning the balcony off of our master bedroom into a year round room with mostly windows for a view of the lake. I’m so excited to pick out the furniture. Now, if I could add a fireplace!! I truly think I enjoyed your part in the series the most. Yay!! You have a beautiful home Leslie and I love your outdoors! 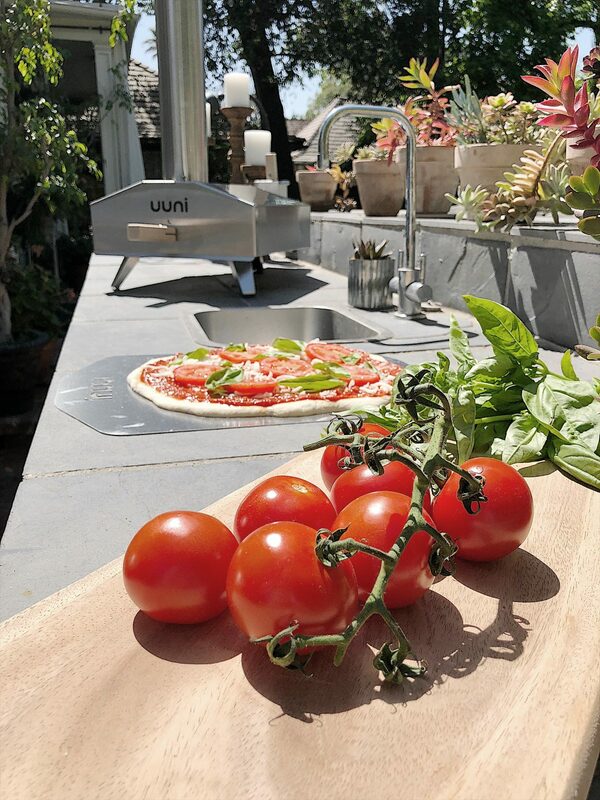 Do u like your pizza oven ? Lovely picture and beautiful ideas. I love your home, it looks awesome.